● Kyle Buschstarted second, finished third. ● Busch started on the front row and maintained second place for most of the first stage. 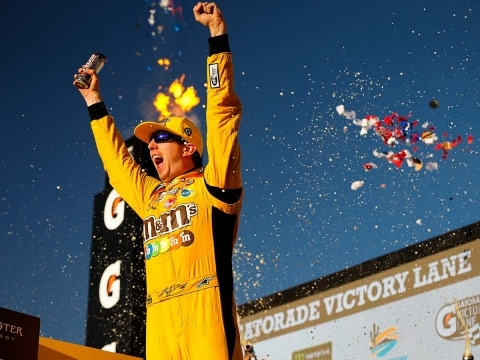 ● The M&M’S driver held the second position through the first two pit stops of the race. He radioed to crew chief Adam Stevens that his car was loose to start the run but started to develop a tight-handling condition in the center of the corner as rubber was laid down on the track. ● The 2015 Cup Series champion dropped one spot toward the end of the first stage and found himself third by lap 80. 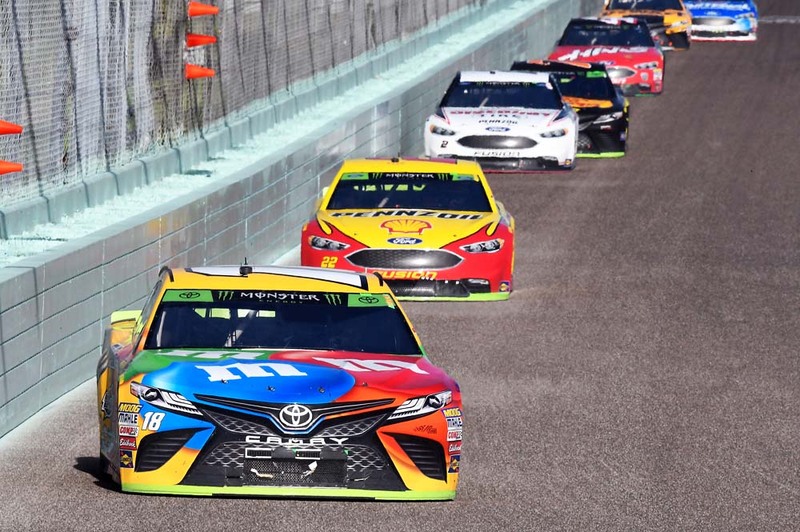 ● Busch started ninth, finished sixth. ● The M&M’S driver came to pit road on lap 83. There was an issue with both front tires, and Busch dropped to third after the pit stop. 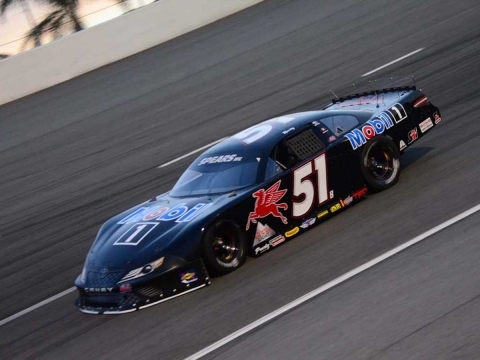 ● Busch dug in from there, moving up to sixth by the time the caution waved on lap 139, but he told Stevens he was loose on the bottom and tight on the top. ● After a strong stop by the No. 18’s over-the-wall team on lap 145, Busch moved up to fourth, but handling issues dropped him two spots to sixth by the end of Stage 2. ● Buschstarted fourth, finished fourth. ● Busch came to pit road on lap 196, and trouble with the stop dropped him to eighth on lap 196. ● The M&M’S driver fought hard on the ensuing restart, moving up to fourth by lap 207. ● As the laps wound down, Stevens called for Busch to stay out while the leaders pitted, hoping for a caution to gain track position. That caution came on lap 247 after there was contact between Daniel Suarez and Brad Keselowski. ● Busch came to pit road one lap later for four tires and an air pressure adjustment, with the M&M’S team vaulting to the lead off of pit road. ● On the ensuing restart, however, Joey Logano and Martin Truex Jr. got by Busch as he fell to fourth with handling issues. All Busch could do was bring his M&M’S Camry home in fourth, a disappointing finish to a strong eight-win season. ● Busch led one time for a total of 21 laps. 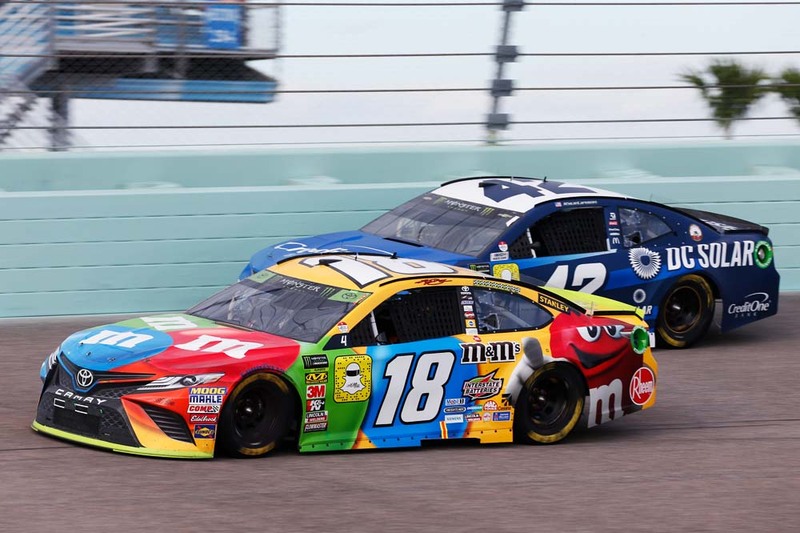 ● In all, Busch had eight wins, 22 top-fives and 28 top-10 finishes on the season, with all either tying or eclipsing career highs in those categories. How did you feel about the strategy to stay on the racetrack for the long run while the other contenders came to pit road? 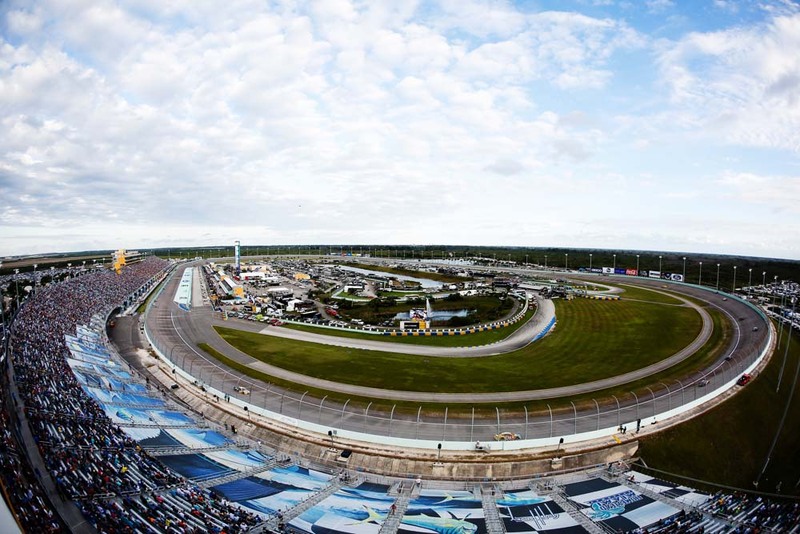 Next Up: The 2019 Monster Energy NASCAR Cup Series season kicks off Feb. 9-17 with the traditional Speedweeks at Daytona (Fla.) International Speedway. The 61st Daytona 500, the first points-paying race of the season, is scheduled for Feb. 17 and will be broadcast live on FOX.